The Alpine Marmot is about 20 inches with the tail being about 6 inches of that. The weight can vary significantly from 8 to 17 pounds. They have a very large round head and a body that is very similar to that of a squirrel. They have been killed in large numbers due to the myth that their fat can reduce joint pain from arthritis. 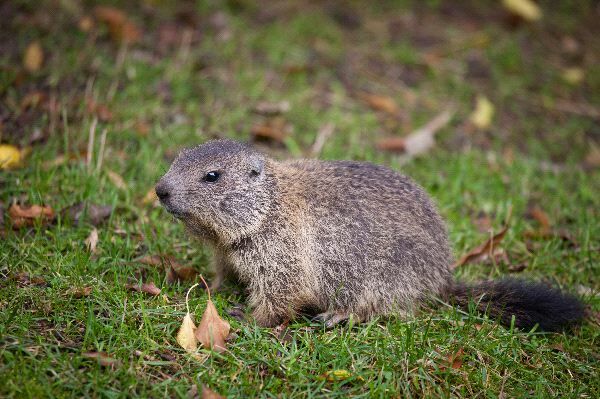 The Alpine Marmot is found living around the mountain regions inEurope. They consume grass, flowers, seeds, eggs, and insects. When food sources are scarce they may resort to eating the offspring of others to ensure their own survival.